Missouri Star Quilting does some excellent tutorials and I’ve had a blast watching them and then having fun making my own projects. Without their inspiration though, would I have come up with this? Probably not! 1. 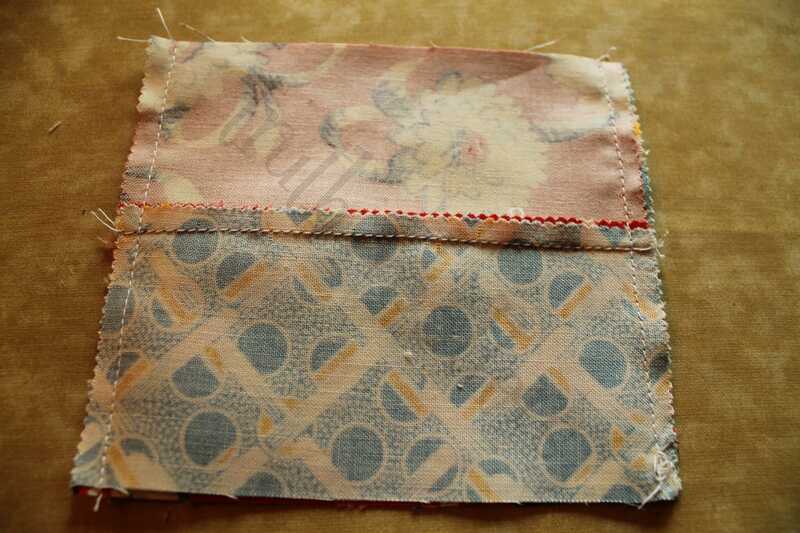 Sew as shown in the MSQC tutorial on two sides of the charm pieces. Basically, take two charms, put them right sides together, sew on the left and the right, take to your cutting table and slice at 2 1/2″ – which is the middle of the charm. Open and iron flat. 2. This is where I detour from what they said. I’m not going to sew a long chain of these and then trim them. I’m going to keep likes together – except I turned it so they are opposites. 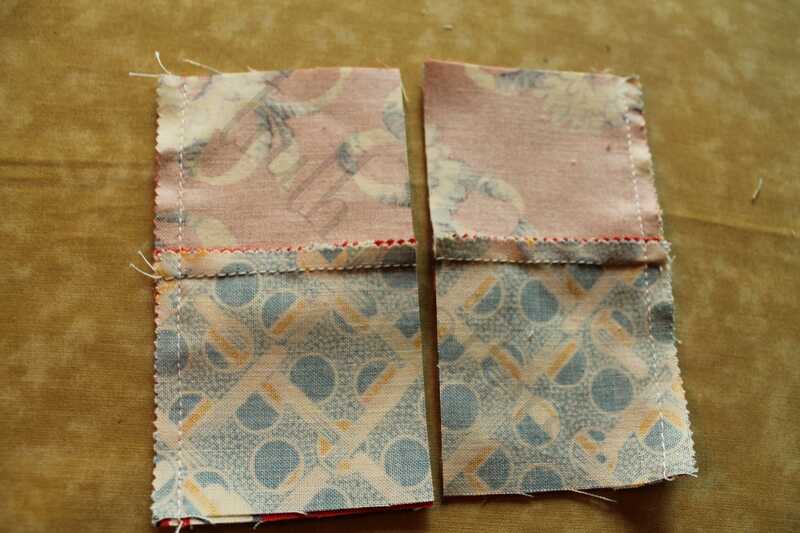 Place the above right sides together, sew on the left and right again. 3. Look close, see the two seams on the left and the right? Good. Now, take this back to your cutting table and cut again on the 2 1/2″ mark from the edge – not from the seam you just created! Open and iron flat. 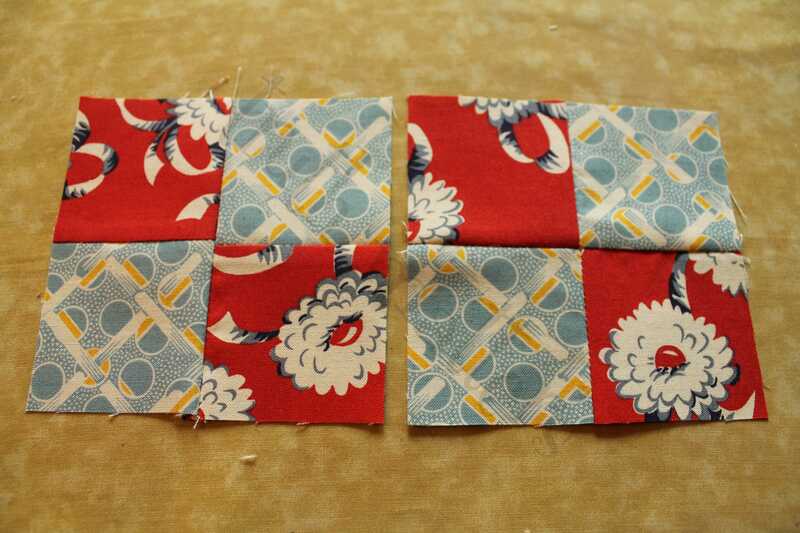 Now, you have two identical 4-Patch blocks that measure 4 1 /2″ square. 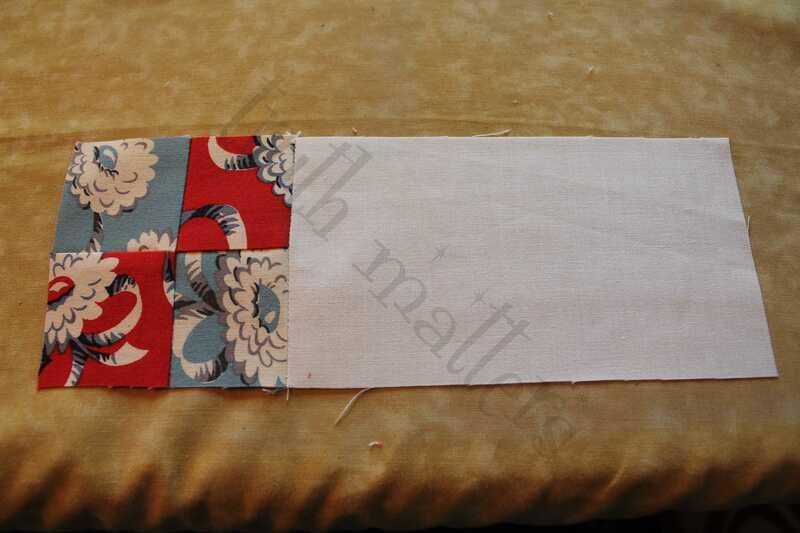 Now, I didn’t quite line up my cutting properly and I had to trim my down to 3 1/2″ square before I could continue. If you are careful and you line things up properly, you should be able to use these at 4 1/2″ square. Or, just trim as I did. 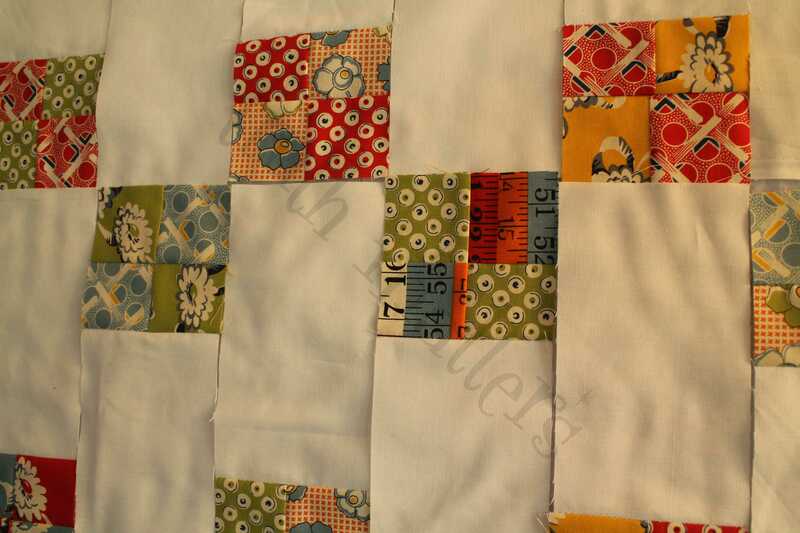 On to the second part of this quilt – just as fast and fun! I took about a yard of Kona Snow White and cut it into 3 1/2″ x 6 1/2″ strips. I forgot to count how many. If you cut your charms correctly, you should cut your Kona white at 4 1/2″ x 8 1/2″ strips. I like to keep my math even. Since I have 3″ finished, I cut for 6″ finished – a derivative of 3. Get it? Great! 4. 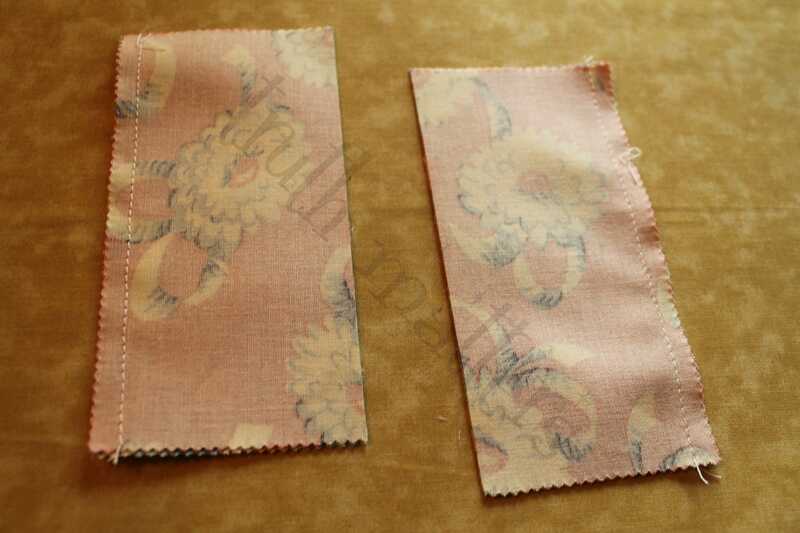 Sew one 4-Patch to the end of every single one of your white strips. 5. 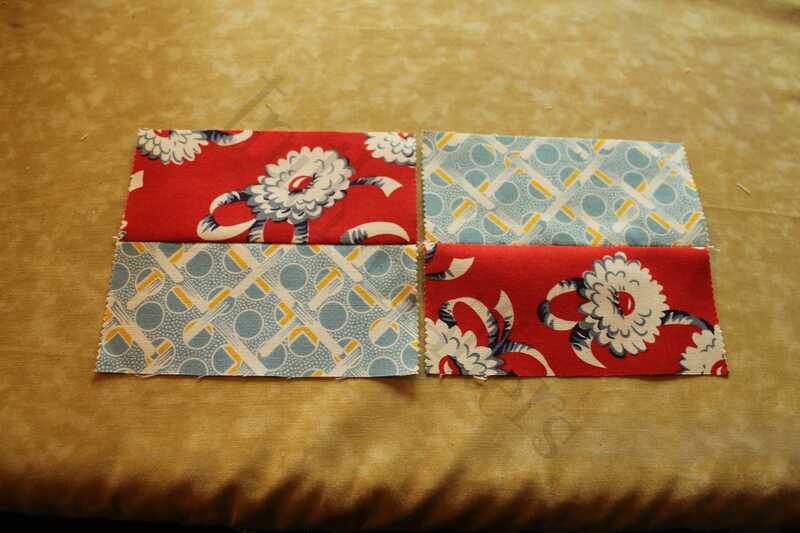 Put on your design board in your desired pattern. 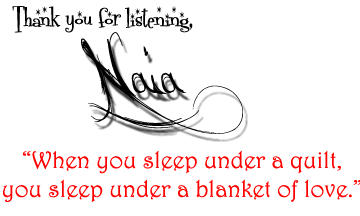 I put mine as seen above – alternating up and down. 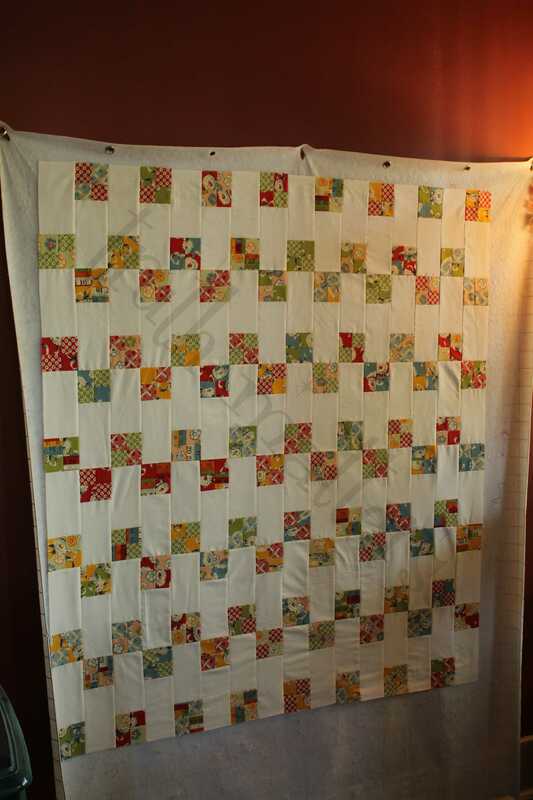 Mine is (16) strips across and (6) strips down for a total finished size of 48″ across and 54″ down. I may add a Kona Snow White border and then just a fun background on it. All told, it took about 2 hours (with Jen on the ironing board) to make this quilt top!